People have come to trust the team at Victory Sports Medicine & Orthopedics for two things – incredible caring and winning results. Steve Berwind, you saved my life today. Holy cow. I've been walking around with a potentially life-threatening blood clot in my leg, and you called it! You are a gifted diagnostician. I thank you from the bottom of my heart. Thank you to Dr. Pietropaoli for fixing my shoulder and my knee. Dr. P's entire staff from the office to the nurses, PAs, NPs, and Therapists are over the top. No "assembly line medicine" here at Victory. Our team is dedicated to providing compassionate care and an effective, personalized approach to your treatment. You’ll find us friendly, warm and easy to talk to – from our helpful office staff to the top sports medicine specialist in the area. We take to heart your goals and the things that are important to you – whether it’s getting back to the playing field or the basketball court, skiing, hiking, skating or golf without pain or returning safely to work. Our emphasis on personal care means you can expect an outstanding result and faster recovery. Your injury or pain doesn’t wait for a convenient time to happen. That’s why we won’t wait until it is convenient for us to see you. In other words, you won’t ever have to wait weeks or months for an appointment. Plus, for your added convenience, we now offer early morning hours starting at 7AM and evening hours until 7PM and Saturdays from 8AM to 12PM. Dr. Marc P. Pietropaoli has treated thousands of sprains, strains, torn muscles, torn ligaments, broken bones and has performed countless knee, shoulder and elbow surgeries. His techniques are often nonsurgical or minimally invasive, which can mean a shorter recovery period, less discomfort and even less scarring. Over the past twenty years, he has worked hard to assemble a highly experienced team of healthcare professionals who share his passion for providing outstanding patient care and customer service. Thousands of patients have come to trust the exceptional care provided by Dr. Pietropaoli and his healthcare team. Dr. Marc P. Pietropaoli started his practice with the vision that one day it would become an integrated healthcare, sports and wellness campus. 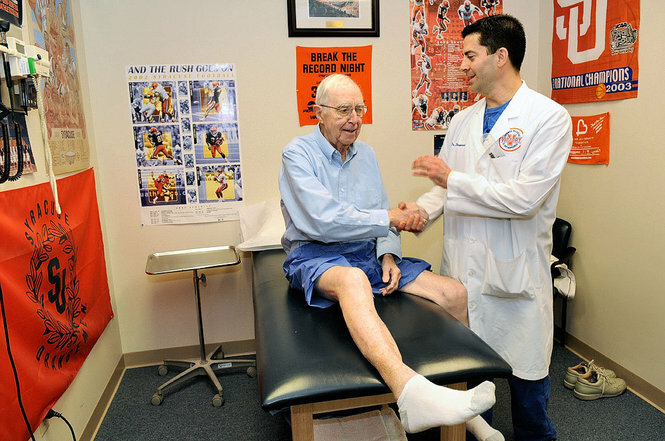 Victory Sports Medicine & Orthopedics offers orthopedic, sports medicine, rehabilitation, X-Ray, Open MRI, injury prevention, strength & conditioning, nutrition and wellness services in one convenient location. The integrated facility fosters an environment whereby our entire team of healthcare professionals are in constant communication regarding your treatment plan and progress. The benefits for you are obvious – the convenience of no longer traveling from office to office, better and more efficient communication among the healthcare professionals and faster recoveries. We continue to invest in the latest technology and techniques to ensure that we provide you with the safest, most advanced and minimally invasive treatments for your injury. From the state of the art digital X-Ray and MRI equipment to the minimally invasive arthroscopic surgery techniques our goal is to provide shorter recovery times, less discomfort and less scaring in your recovery. Our innovative approach to healthcare has helped thousands of people return to a productive, pain-free lifestyle.